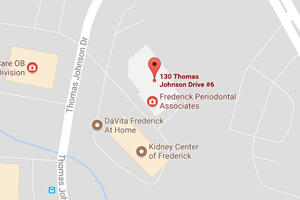 Frederick Periodontal Associates offers several payment options, allowing you to choose the one that is most appropriate for you. For your convenience, we accept cash, personal checks, money orders and major credit cards (American Express, Visa, and Master Card). Payment is expected at the time that services are performed. When more extensive dental care is necessary, financial arrangements can be made with our office. As a service to our patients, all our doctors are participating providers with Delta Dental and Cigna. Our accounting staff will prepare all the necessary forms for your dental benefits. However, we remind you that your specific policy is an agreement between you, your employer and your insurance company. Please keep in mind that you are responsible for your total obligation should your insurance benefits result in less coverage than anticipated. Our staff will gladly submit a pre-treatment estimate to your insurance company so that you will know what your benefits will be. Again, we accept all major credit cards.